Audi's DTM season-opening weekend started with high hopes as Martin Tomczyk narrowly missed taking the pole position at Hockenheim by just 76 thousandths of a second. 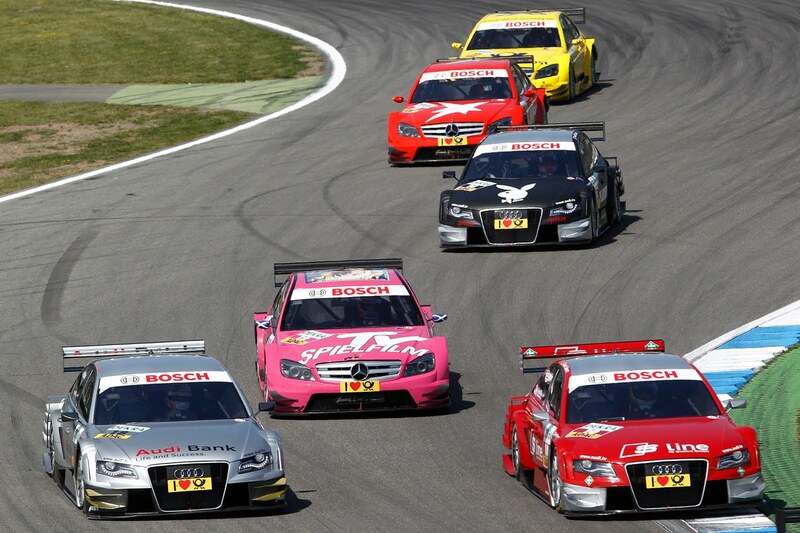 By Sunday's race start, the first 5 rows at Hockenheim consisted of five Audis mixed with five competing cars from Mercedes-Benz. The finish however, was not as rosy. 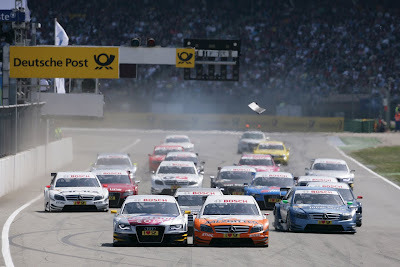 To a crowd of 78,000 spectators (throughout the weekend), Audi battled with Mercedes for crucial position in the early laps of Sunday's DTM season opener. From what seemed like a razor-thin margin in the beginning ultimately led to a series of unfortunate events, mainly centered around one thing, tires. 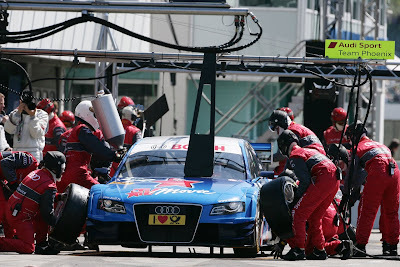 Top Audi qualifier, Martin Tomczyk was leading the race by the tenth lap when tragedy struck as Tomczyk's #6 Red Bull Cola Audi A4 DTM suffered a left-rear tire puncture, leading to an unrecoverable margin from the lead. Ultimately, Tomczyk would be taken out of the race following yet another puncture. 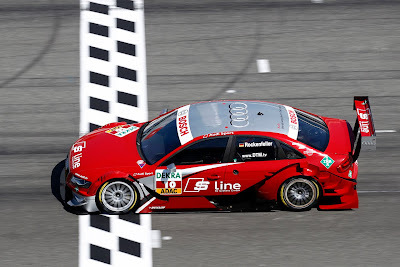 Like Tomczyk, Alexandre Prémat from a second-place position, would suffer a debilitating puncture, blowing the left rear tire of the #9 TV Movie Audi A4 DTM. 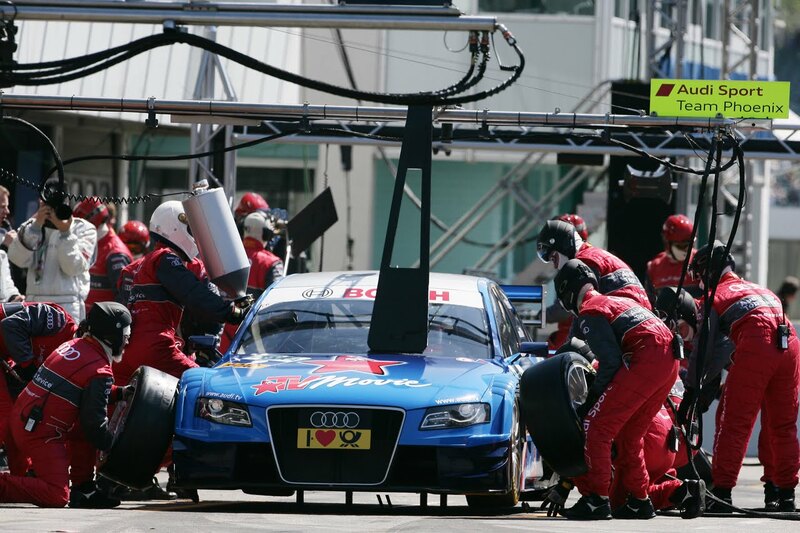 Tomczyk and Prémat's punctures led to instructions for all Audi drivers to exercise caution, especially when driving over the curbs. Unlike his previously mentioned teammates, Mattais Ekström's luck seemed to be intact throughout much of the race. 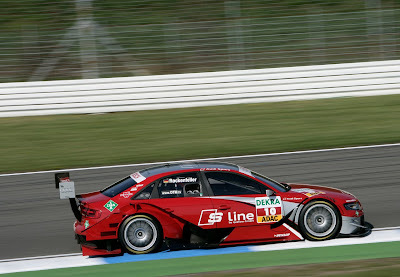 Running just behind leader (and subsequent race winner) Gary Paffett, Ekström was called in for his first mandatory pit-stop, one lap too early. 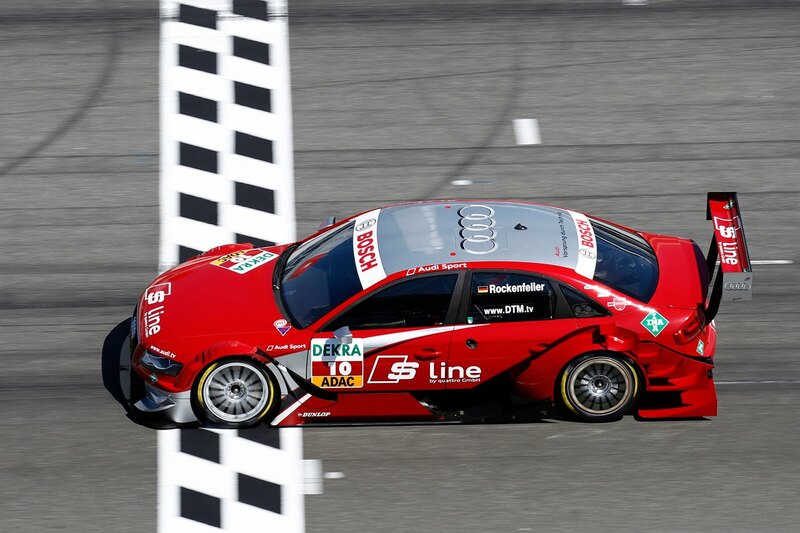 This mistake in timing would ultimately require Ekström to make a third stop before race end, leading to a sixth place finish. Taking a fifth-place finish was Mike Rockenfeller, who ranked as the best Audi driver at Hockenheim. 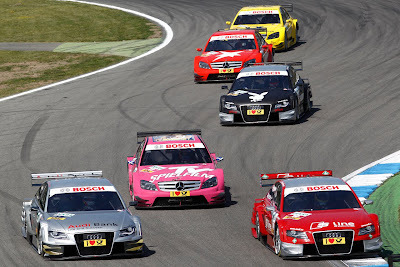 Commenting on his performance, Rockenfeller stated "I had a fantastic start but lost a lot of positions after body contact with Paul Di Resta – that was too bad. After wards, everything went really well. The team did a great job and had a good strategy. 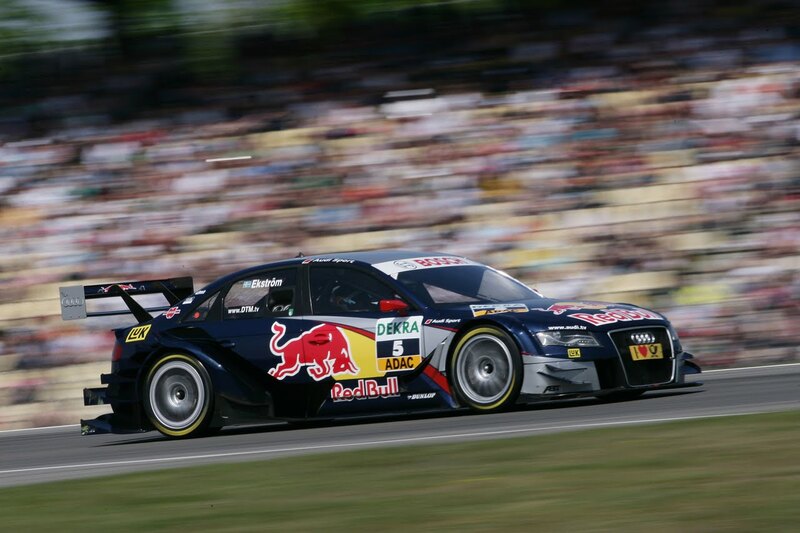 I had a tough duel with Timo (Scheider) and I am happy with my performance." 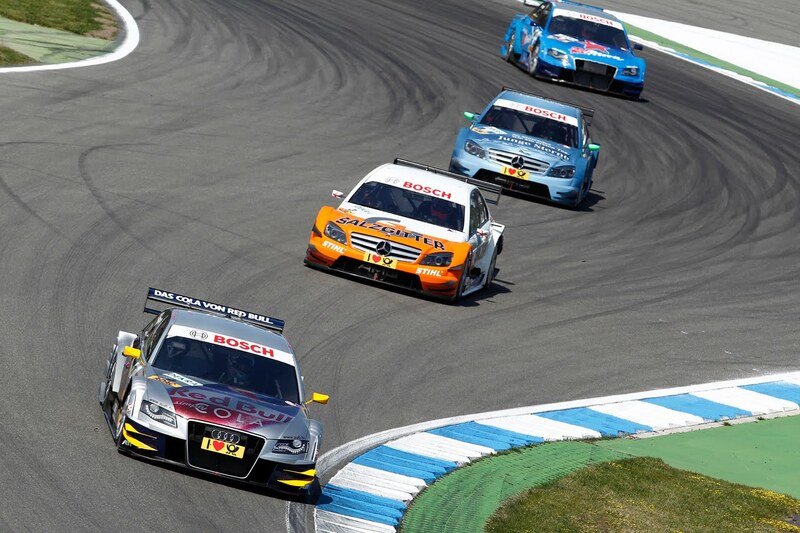 Rounding out Audi's finish at Hockenheim was Timo Scheider in seventh place, Miguel Molina in eighth, Alexandre Prémat in tenth and Katherine Legge and Markus Winkelhock taking fourteenth and fifteenth places respectively. 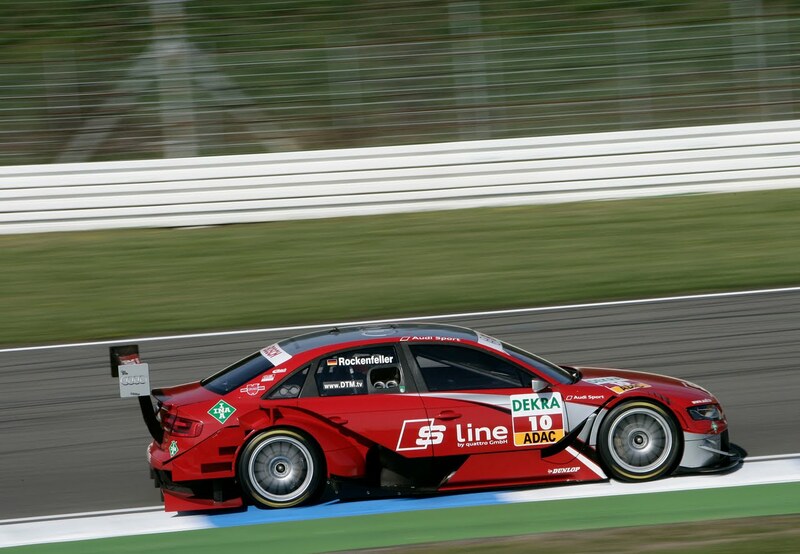 In addition to Tomcyzk, Oliver Jarvis also would not finish the race, following a brush by Maro Engel in the hairpin, parking the #2 Tabac Original Audi A4 DTM.